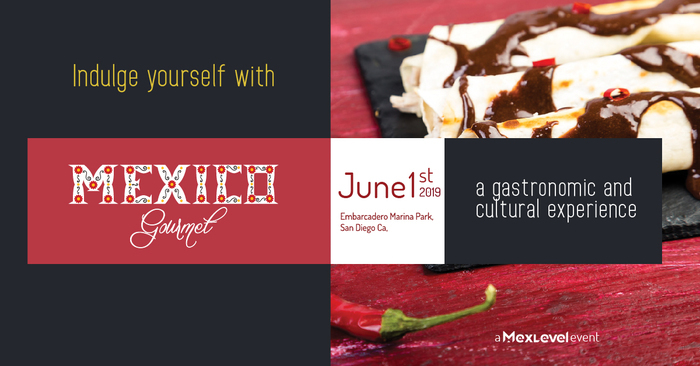 SAN DIEGO, CA — The Mexico Gourmet Festival – premiering Saturday, June 1 from 5-9PM at the Embarcadero Marina Park South on San Diego Bay – may be the most unique Mexican culinary festival ever to be held here. There’s already an annual festival that celebrates Latin cuisine, in general, and a number of events and special dinners that highlight the cuisine of nearby Baja California. 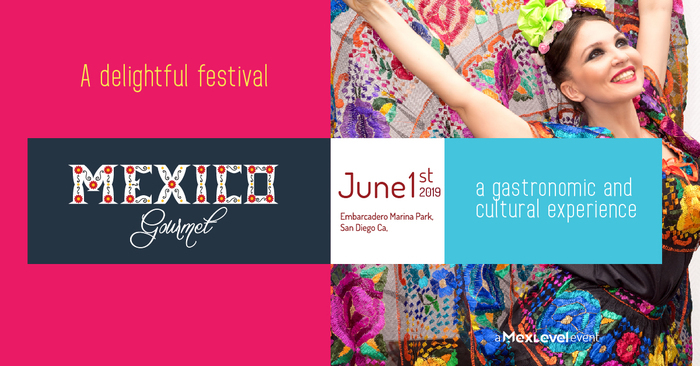 But this may be the first San Diego culinary festival to showcase the flavors, colors and sounds from the various regions of Mexico, all in one place. Mexican cuisine has become the sweetheart of global gourmands over the past decade. As a larger variety of regional Mexican cuisine makes the migration north to the US, astute diners are beginning to realize that “Mexican food” consists of much more than California burritos, chimichangas and Northern Mexican dishes such as burritos and enchiladas. Think moles from Oaxaca. Pibil from the Yucatán. A dizzying array of tamales from Michoacán. The rise of Modern Mexican cuisine from Mexico City. Mexico’s traditional favorites. In your backyard. These regional cuisines and others will be prepared and available for sampling at the Mexico Gourmet Festival. As will award-wining wines from Baja California’s five wine valleys and a variety of Mexican spirits, such as mezcal and tequila. 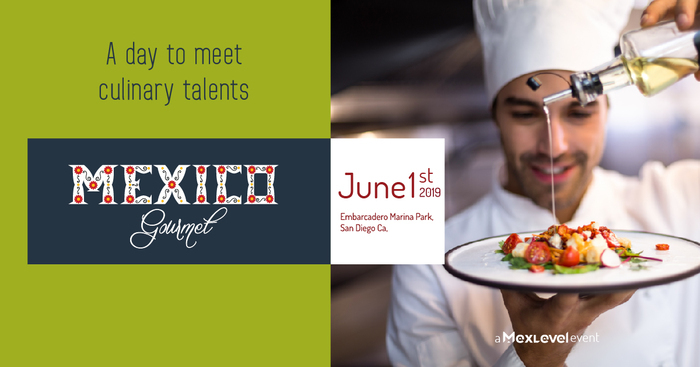 Guests will have the chance to discover the hidden flavors of Mexican dishes with unlimited tastings from prominent chefs and restaurants from both sides of the California-Mexico border. Celebrity chefs, such as Martin San Roman, will offer their takes on authentic Mexican cuisine. 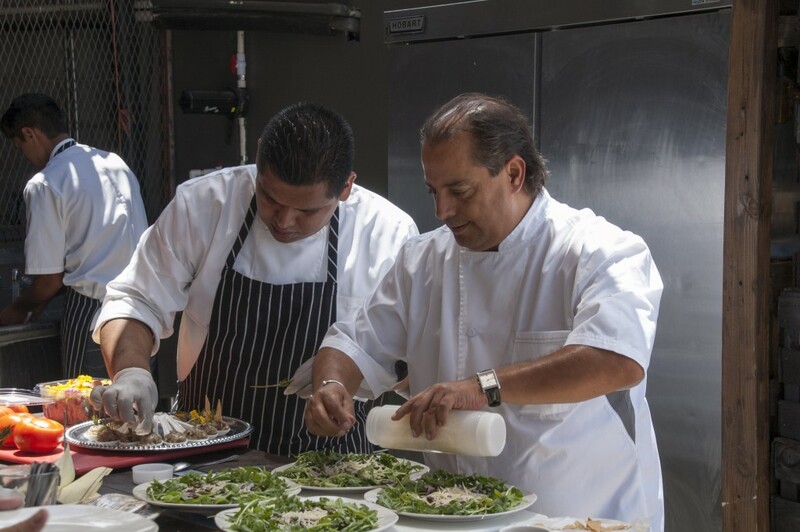 Chefs from San Diego and five regions of Mexico competing in a culinary competition to make the dish that best represents the delicious flavors of Mexico. Dishes created by four renowned culinary schools. Celebrity Chef dishes and appearances, including: Martin San Roman (Fauchon, Hotel Le Meridien Paris, Hotel Grand Intercontinental Paris, Hilton London, Westgate San Diego, Hotel Raffles Singapore, Le Tour de France, Rincón San Roman), Mario Medina (Chateau La Jolla Inn, Paradise Grill, Finch’s Bistro, Bernini’s Bistro), Daniella de la Puente (La Boheme, Rústico, La Cocina Secreta), Natalie Curie (El Coraloense), Vicente Ortiz (El Pescador, Don Chente Bar & Grill Lounge), Javier Rubio (Mission Bay Yacht Club) and Jorge Carmona. Wine from Baja California’s top vineyards. Mexican tequila and artisanal mezcal. All you can drink beer + craft beer. 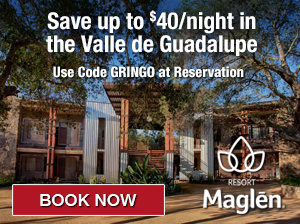 USE CODE GRINGO AND SAVE $5 ON TICKETS! The event is 21 and over, so why not hire a sitter, catch an Uber and enjoy the night out with a friend who also loves Mexican cuisine? 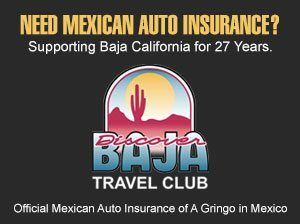 Look for A Gringo in Mexico there as I’ll surely be sampling a little from each participating restaurant, winery, craft brewer and distillers of agave spirits. Provecho! FCC Disclaimer: A Gringo in Mexico was offered a pair of complementary tickets in exchange for coverage of this event on our blog. No other compensation was received for this article and the author’s opinions remain his own. Given the variety of Mexico’s regional cuisines on offer, the availability of fine Mexican wines, beers and spirits, the talented lineup of some of this blog’s best amigos and the value of admission, we would have happily purchased tickets to this event, otherwise.